Websites have proven to be a powerful technological tool that directly connects people to a mutually beneficial relationship. This is one of NeighborLink’s greatest differentiators. We’re attempting to eliminate the barriers between people in need and those that want to help. However, there are critical challenges if access to technology is one-sided. That’s also true at NeighborLink. Websites, just like any other tool, are only as useful as the person’s ability to use them. Since day 1, those needing help could call NeighborLink on the phone. We would gather their information, explain the process and then post their project on the website for them. In an ideal world, we would like to see 80% or more of the projects posted, get posted by the person who needs help or the referral organization. Why? Because our staff can sometimes be a barrier between the neighbor asking for help and the neighbor wanting to help. The volunteer loses an integral part of the whole volunteer experience - the initial interaction with the neighbor asking for help, the tone in their voice when asking for help, hearing their story and circumstances. There is no way we can summarize it in a way that will have the same impact. When homeowners post their own projects they can communicate exactly how they want to be helped when the volunteer asks. And from a technical side, when homeowners post their own projects, they are automatically connected to the project from beginning to end, receiving notifications if the project gets selected, where it stands and the ability to update the project in any way. The same goes for referral agencies. We’d love to see more agencies post projects on behalf of their clients as a way to share info and to stay connected to the project and the person they are trying to help. By staying connected to the project, they are notified directly if the project gets selected, when it’s started and its completion. It’s more work for them, but in the end, it provides better customer service and the likelihood of a positive experience for their clients. The good news is that the number of projects being posted by folks other than NeighborLink staff is on the rise! Just a few years ago, we were posting close to 85% of the total number of projects. With today’s mobile technology and the relationship building our staff is doing to educate our partners on how the website works, the numbers are diversifying. The chart above shows who have posted projects over the last two years. We’re monitoring these numbers every year to make updates to the project posting process, to continue streamlining and simplifying on our end. We want to be able to focus on bridging the effort gap and increase the connections neighbors are making with each other. We’re happy to answer any questions on this data or any other stats you’re curious about. NeighborLink was fortunately awarded three AmeriCorps VISTA positions recently through the Corporation for National and Community Service. What is the AmeriCorps VISTA program you ask? AmeriCorps VISTA (Volunteers in Service to America) members serve full-time for a year at nonprofit organizations or local government agencies to build the capacity of their organization. Projects can vary from developing outreach and marketing campaigns, building a social media presence, creating a program database, managing a program in its first year, and recruiting volunteers. Click here to watch a brief video on the benefits on being part of AmeriCorps. We are currently recruiting AmeriCorps VISTA members for two volunteer mobilization coordinator positions and one community relations and research coordinator position. This gives NeighborLink the ability to increase our capacity while we grow as an organization, provide some phenomenal benefits to post-graduate candidates who may need a bit of space to figure out what is right for their career trajectory, and to evaluate new program areas. The right candidates will be passionate about serving their community in a real and tangible way. Housing and community are vital attributes to an engaged and flourishing neighborhood, and there is a need in five Fort Wayne neighborhoods to tackle the community-identified housing stability issues through strategic research, planning, and convening. 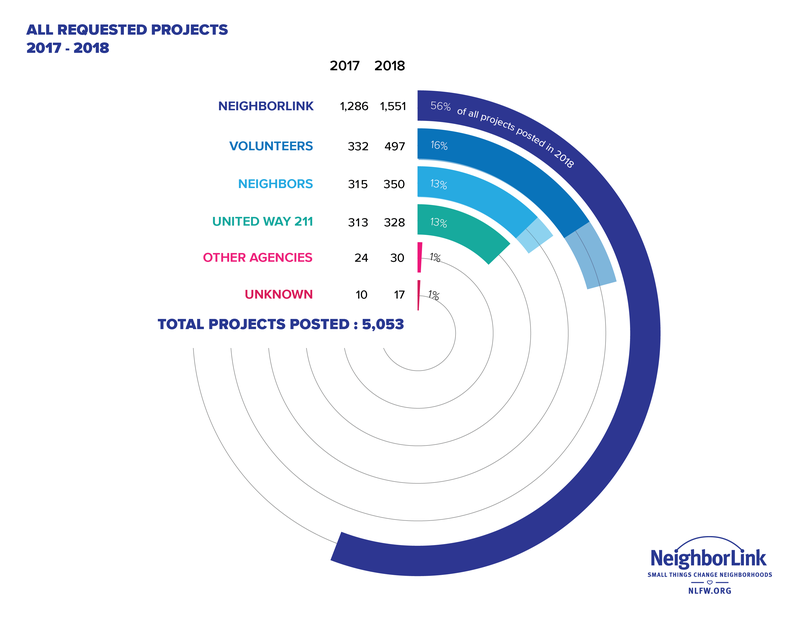 NeighborLink’s collective volunteer mobilization experience of tackling projects few want to do has shown us these systemic issues that aren’t being addressed through traditional economic initiatives. The VISTA member will collect qualitative data within these neighborhoods through neighbor interactions, coordinating/attending neighborhood association meetings, & phone calls. Quantitive data will be collected by completing surveys, online research, collecting shared research from partner organizations, and hosting/leading neighborhood beautification or tangible projects efforts that engage homeowners. The VISTA member will primarily work with our Executive Director & Community Relations Coordinator to increase our research outreach. Since 2003, NeighborLink volunteers have completed over 10,000 home repair projects for vulnerable, fixed and low-income neighbors in Allen County. Volunteers come to NeighborLink from churches, civic groups, businesses, neighborhoods, or family units. VISTA members will build capacity by recruiting new volunteer groups/communities through public outreach efforts such as events, expos, phone calls and networking, coordinate group volunteer experiences that includes project management, securing resources, and ensuring satisfaction. They will help connect new volunteers to projects on the website that align with their skills/desires, and increase social connectivity with existing NeighborLink volunteers via phone calls, e-mails, and leading projects. The VISTAs will primarily work with the Executive Director and Director of Volunteer Mobilization and will be given the needed resources to successfully complete their job. If this is something you might be interested in, click here to find out more information on how to apply through AmeriCorps. We also find this FAQ page to be really helpful. If you have any questions about the program, benefits, duties, please reach out to Megan at megan@nlfw.org. Oh what a year and not just any year, it's the celebration of our 15th year helping neighbors, connecting with neighbors and being good neighbors through tangible expressions of God’s love. As we look back to these last 15 years, the momentum we have experienced in 2018 is icing on the cake, some may even say with sprinkles (if you like sprinkles, which I definitely do!). This year we surpassed our goal of 1250 projects and reached 1302. Broken down, that’s 25 projects a week or around 3-4 projects a day! We currently have 163 volunteer groups and 88 of those groups returned from the year prior. Words cannot express how grateful we are for our volunteers' endless dedication, commitment, and selflessness. They are, you are, the backbone of our organization. We cannot put a price on their servitude…but if we were going to give a volunteer valuation (from independentsector.org) our combined volunteers' time just this year is valued at almost $300k! On December 22, we held our annual volunteer awards banquet and for the first time ever in our history we gave out awards. 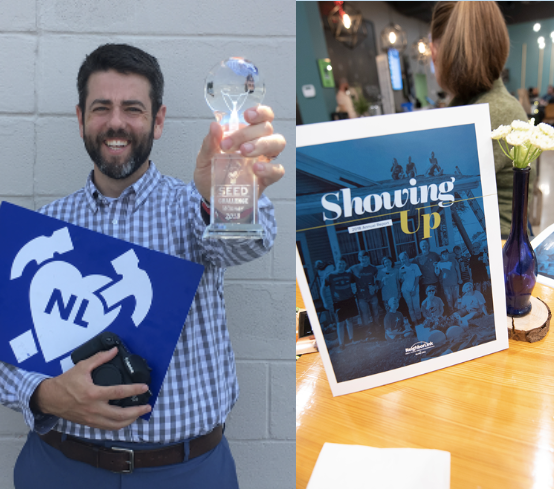 The NL staff spent many a meetings discussing what these awards would be and we kept landing on wanting to give awards to everyone, because you are all such a blessing to us. After much discussion, we chose fun Heart & Hammer pins in 3 different colors to signify different volunteerism milestones. Then we chose awards for unique accomplishments for the year. Gay Penland (Helping Hand Award) lead teams of volunteers who painted over 940 fire hydrants (surpassing years past by over 600), Aaron Makin (Innovation Award) built a remote control lawn mower that was fun to use (so they say, I am dying to get my hands on it as I am sure you are too) and a clever way to promote NeighborLink awareness. Aptera received the "Link Award" for their dedication to motivating and encouraging their employees to give back through various projects during work and outside of work hours. The Gab & Go Gals (Rookies of the Year), are a group of dedicated women who recently starting doing projects with NL on a regular basis. Phyllis Weaver received the "Neighbor Award” for being one of our homeowners that has received helped from NL over the years and sends hand-written messages and calls showering our volunteers and our organization with love, gratitude and prayers. Finally we presented a traveling award that we named "The Steve Binkley Award." It honors Steve, who in every way embodies what it means to give selflessly and in a way that continually honors God and those less fortunate. This award went to Dave Kattau, a member of the Carpenter’s Sons, who every single week co-leads a team of retirees that make wheelchair ramps for the disabled in our community. These individuals would not have access in and out of their homes to go to the grocery store, to their doctors appointments and to visit loved ones. No-one should be ever be confined to their homes. 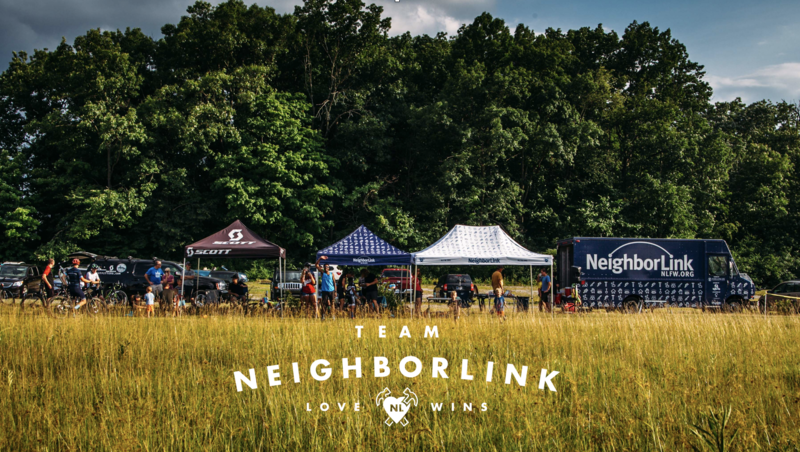 Another way we have engaged our community is through Team NeighborLink. Our athletes raise money and 100% of the proceeds goes back to funding projects. Athletes can commit to fundraise during their athletic pursuits, they can simply wear our gear and get the word out about who we are and what we do or they can participate in our events. 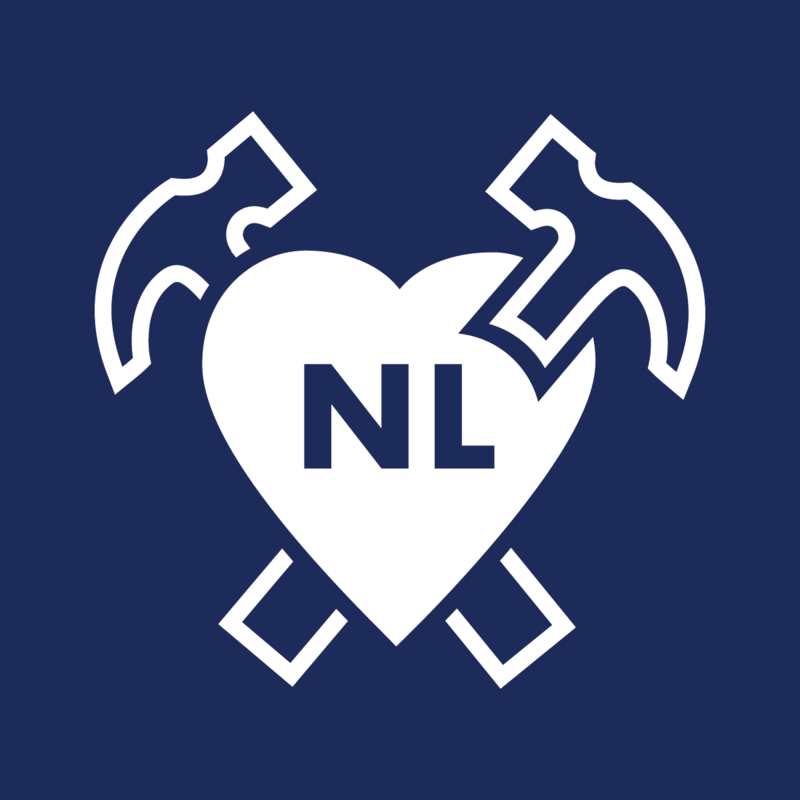 A large portion of our community participates in local athletic events so NL has hosted Night Moves 5K runs and cyclocross off-road bicycle racing events. There were a total of 26 NL hosted events in 2018 and between the events and athletes, our athletes raised almost $20k. Through growth and grant funding, NeighborLink was able to add five people to their staff this year (previously there were just 3!) These additions will enable us to help expand our outreach and visibility throug the community, through our churches, businesses, civic groups, athletes and individuals. And with the SEED Grant funds we were awarded through Ambassador Enterprises, we are going to create videos to tell our story. Which story? All of them - the journey’s of our neighborhoods, our city, our volunteers, our homeowners, our athletes, our events, our partners and so much more. We will also offer our video services to help other organization tell their stories who are doing great things in our community. It has and will always be our goal to not just complete projects but to build community, empathy, friendships and tolerance for each other, for our neighbors and for God. We’ll see you in 2019!